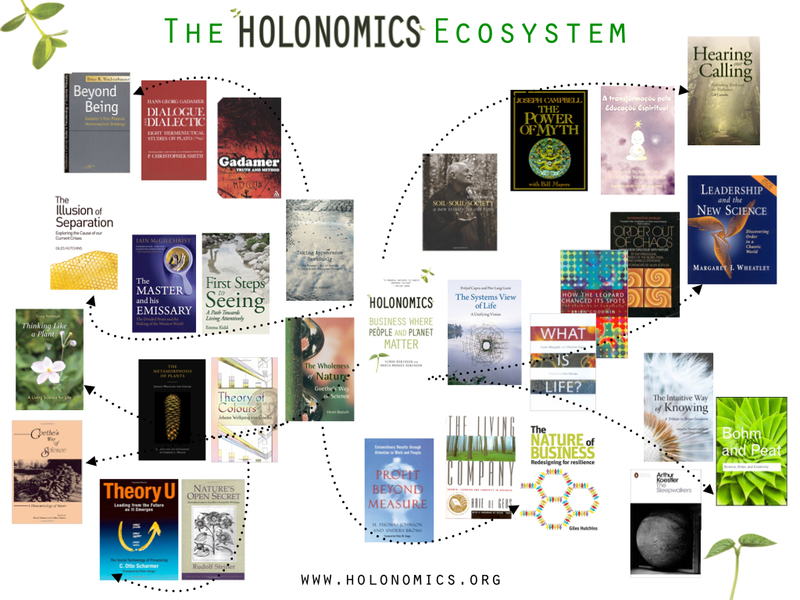 I recently published my visual representation of the Holonomics ecosystem and so I thought I would jot down some thoughts on the different pathways and what they represent for Maria and I. You can find the complete list of books in this article: The Holonomics Ecosystem. 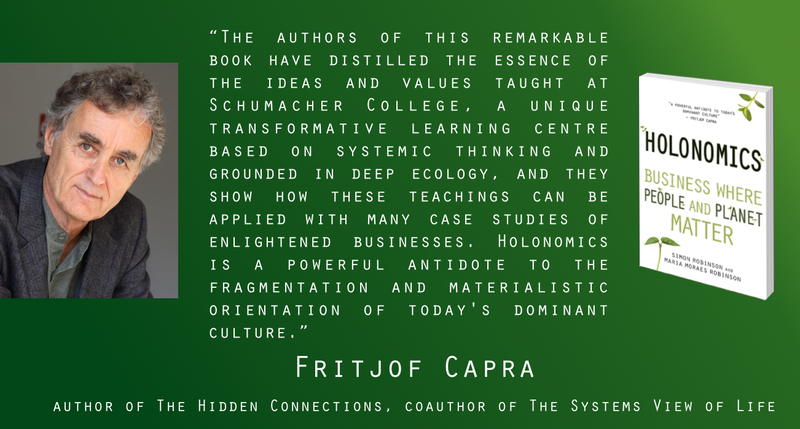 There are three central people which we feel most closely align with what we set out to achieve with Holonomics, and these are Satish Kumar, the founder of Schumacher College, our good friend Fritjof Capra, and the late Henri Bortoft who for many years provided the philosophical foundations of understanding wholeness for the masters degree in Holistic Science. 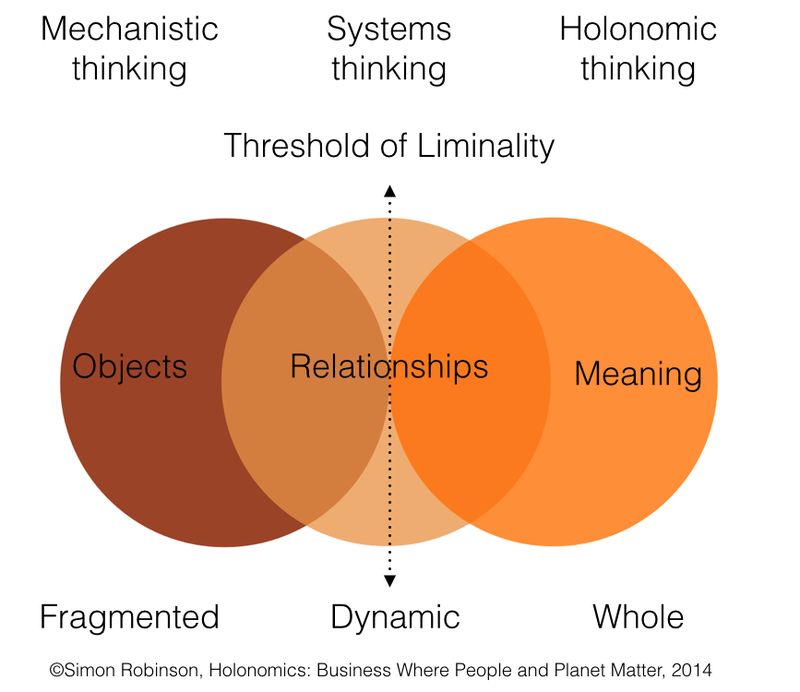 The diagram above comes at the end of chapter one of Holonomics, and in it we can see that there are three different ways if conceiving reality, all of which are complementary, and all of which are necessary. However, there is a threshold of “liminality’ which many people are not able to cross, and this is because of the very nature of thinking itself. So in the Holonomics Ecosystem the first point to note is that books are generally organised together around these different elements. The one philosopher and teacher who absolutely took me across this threshold was Henri Bortoft, and hence his two main books, The Wholeness of Nature: Goethe’s Way of Science and Taking Appearance Seriously: The Dynamic Way of Seeing in Goethe and European Thought are where the philosophy of wholeness in Holonomics comes from. Satish of course wrote the foreword to Holonomics, and just a few months before our book was published, Satish published his most recent book Soil Soul Society: A New Trinity for our time which I reviewed in January of last year. So now as we widen out the pathways, moving to the left through Henri we come to Goethe, who developed a phenomenological way of doing science which does not reduce phenomena to abstract categories and quantified measures, but which aims to stay within the phenomena. Of course, this is by no means an easy concept to explain in a single paragraph, but one of the most powerful ways of understanding what Goethe meant is not achieved through reading, but by doing. In Holonomics we offer a number of exercises to help you do this, especially ones related to Goethe’s understanding of colour (as opposed to light) and you can actually see how this is done using glass prisms in this article: What is a Phenomenon? From Goethe, we discover the spiritual and philosophical movement of anthroposophy developed by Rudolph Steiner (1861 – 1925), based on the science and philosophy of Goethe, and which was one of the main sources of influence for Otto Scharmer’s influential Theory U: Leading from the Future as it Emerges which I am sure many of you will know. A different path is possible through Goethe, and this is one which focuses on the phenomenological aspects of his science, including his work on the metamorphosis of plants. And so there are books such as Goethe’s Way of Science: A Phenomenology of Nature edited by David Seamon and Arthur Zajonc, and Thinking Like a Plant: A Living Science for Life by Craig Holdrege which Maria and I provide extracts from in Holonomics. For those of you who are not acquainted with the scientific work of Goethe, you may wish to read this article Goethe’s Greatest Achievement in which I also discuss Steiner’s earlier scientific treatise on Goethe. 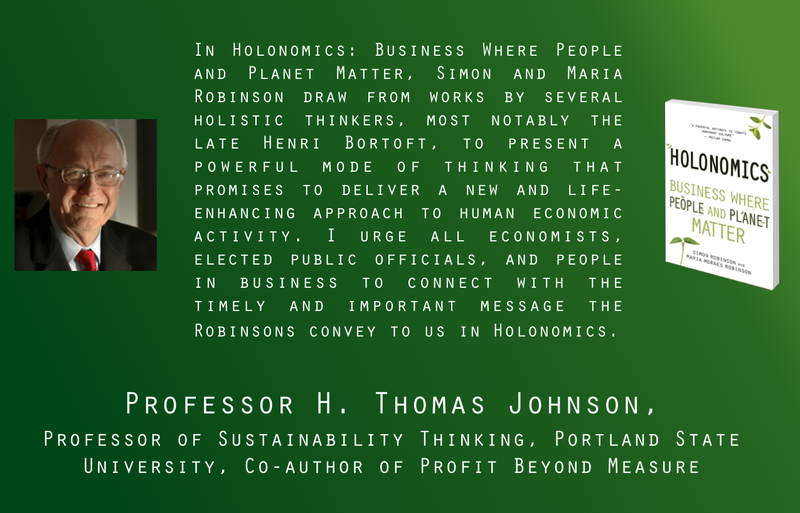 Henri’s work on wholeness has influenced a number of business writers and thinkers, such as Thomas Johnson, who together with Anders Bröms quote from Henri in the their book Profit Beyond Measure. 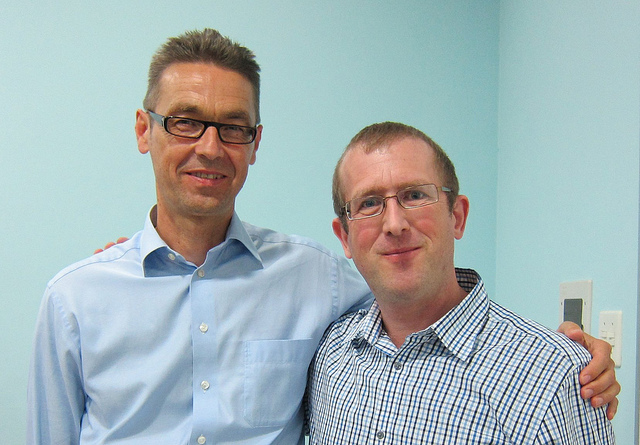 In addition to being a Professor of Sustainability, Thomas Johnson is regarded as one of the world’s leading experts on the history of accounting, and in this article Otto Scharmer interviews Johnson about Goethe: What Can Goethe Teach People in Business?. 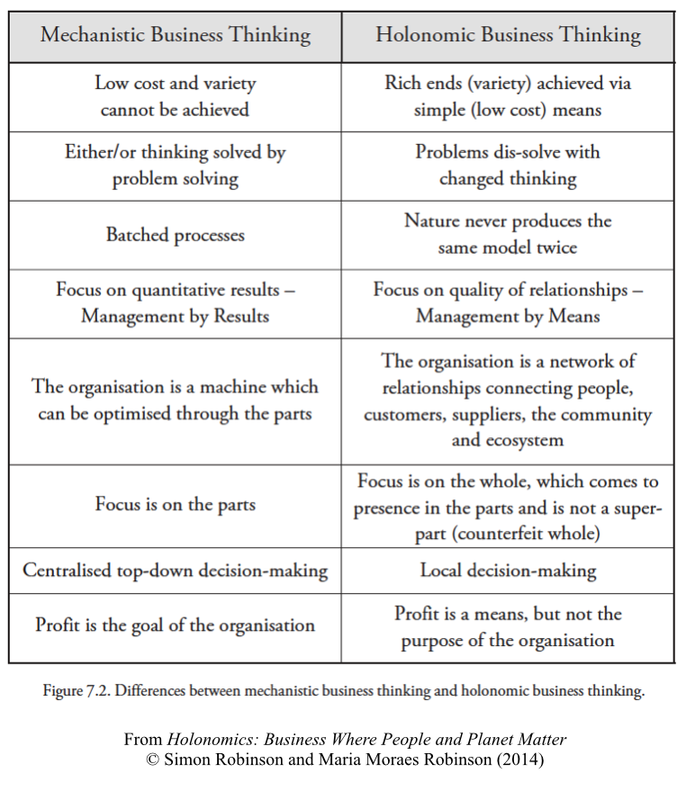 This thinking understands organisations as living systems, and so Holonomics complements books such as our good friend Giles Hutchins’ The Nature of Business which I discuss in this article: The Nature of Business by Giles Hutchins. So here are some of the pathways, and I have provided links to quite a few of my articles for those of you who wish to explore further. In part two I will continue to explore the remaining pathways and even dig out some hidden connections perhaps. This article continues in Pathways Through Holonomics: Part Two.